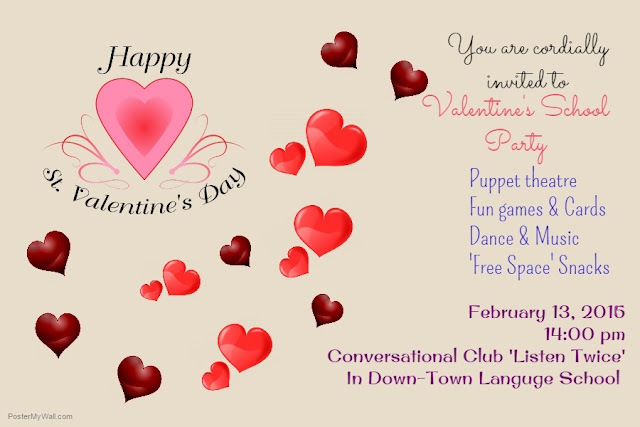 Conversational Club 'Listen Twice' is celebrating St. Valentine's Day on 13/02/2016. You are kindly invited to participate in lots of fun activities that will take place in premises of the Language School In Down-Town at 14:00 1st floor room Q. Performing Arts Club members please come at 13:30 to rehearse the play and all the other club members join us at 14:00.